MUMBAI: T-Series Apna Punjab Att Swag would take you on a party swing, with its groovy beats. With all those funky visuals, swagger looks of artists and that pumping music is all you need for a perfect weekend. Jharna Feat Rawman has sung this song to which she’s chosen a few English lyrics to give the track a grip. Lyrics have been written by Hardy and Olvin while music has been given by Bigg Slim. Att Swag will put you in a state of trance and would definitely light your mood up. Do check this song out. MUMBAI: T-Series' Apna Punjab release Mainu Mangdi is sure to leave you teary-eyed, with those grasping visuals and a perfect storyline. MUMBAI: Tapping the regional music industry and promoting it in a big way is a treat. T-Series has stepped into the market of Punjabi music, one of the highly consumed music world-wide. With one after another hit songs, the label is also known into the Punjabi market along with Bollywood. 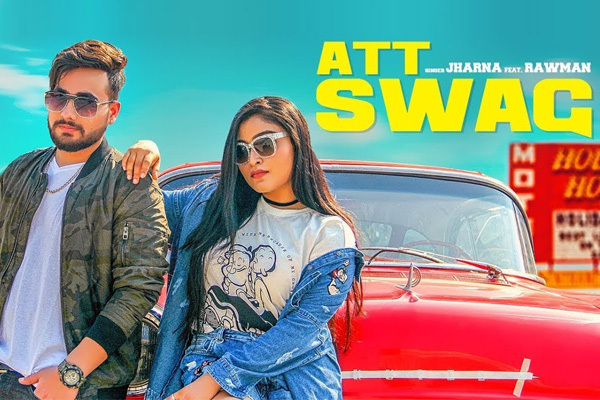 MUMBAI: A T-Series Apna Punjab track Kithe Kithe is sure to give a Punjabi vibe, the track is certain to lift your mood and especially if you are a Punjabi music lover. MUMBAI: Morni a catchy romantic track has been set amidst Punjabi cultures and traditions. MUMBAI: Every heart break has a story to tell. The moments spend together are treasures with unforgettable memories. On a similar note, a Punjabi song Tere Mere Pal is released under T-Series Apna Punjab.